Hello friends, I am back home in Minnesota. I arrived 3 days ago. As I write, I am sitting in my family’s porch, enjoying the view of the lake. It’s a sunny, hot morning. I can hear the bees flying about, foraging for pollen and nectar. The birds are chirping and the red-wing-black-birds are squawking. I can also hear crickets and frogs. These are the benefits of living next to a marsh (well, maybe the mosquitos are an exception). It feels nice to be home and to hear these sounds again; I did miss hearing the frogs. Today, I’ll mostly be relaxing. I want to bake a mixed berry pie, so I’ll be doing that as a tribute to being back in America! I will also unpack my bags. It feels odd, knowing I won’t use my backpack for awhile. I’ve been living out of it for 7 months, I’m almost inclined to keep doing it. But, in the end, I know I’ll enjoy having more than 2 outfits again. Thinking back on my trip, I definitely have some highlights. I thought I’d share them with you, as a sum up of my trip. I know I’ve had dedicated readers, who have read every post. I am very happy my blog interested you all so much. I also know I have had readers who read one or two of my blogs (or skimmed my photos) and to that I am happy as well; and this sum up is for you. How about I go by country/region? I’ll start with China. China was full of hiking and outdoor exploration. I biked around in Dali, hiked Tiger Leaping Gorge, went to Sangrila, visited Lugu Lake, and I even lived in a very small village and helped build houses for the Mosuo people (a minority group). The best part? I spent it all with my twin sister. I am so happy to have had the opportunity to travel with her. She really is my best travel companion; she just gets me and I get her. It’s a twin thing, I guess. I spent over a month in China and I can’t wait to go back (next time, I want to see Xisuangbana). 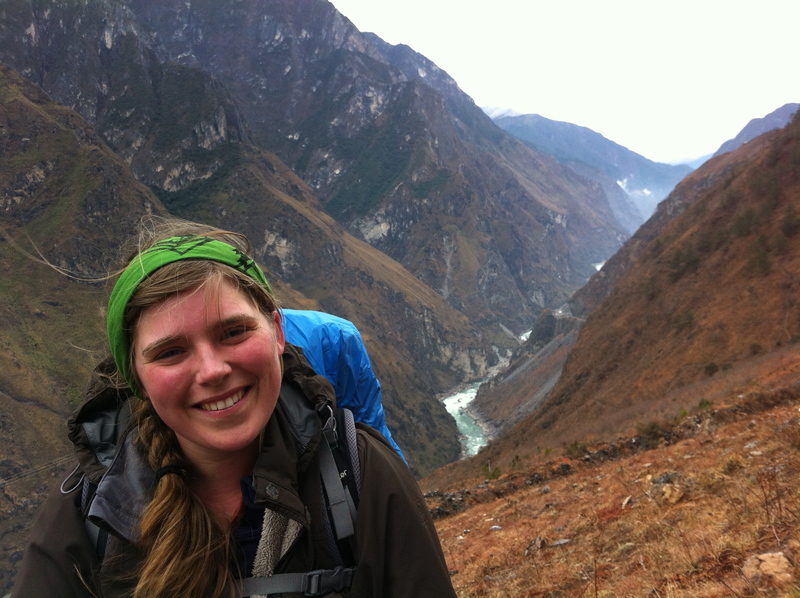 My sister, Colleen, near the end of our 3 day hiking trip at Tiger Leaping Gorge. I left China and flew to Tokyo, Japan. I quickly made a French friend named Anne and traveled with her for 2 weeks. We went to Oshima Island, hiked a bunch, and then traveled to Kyoto together. I also experienced the amazing-ness of the Japanese onsen (hot spring); I miss it so much. 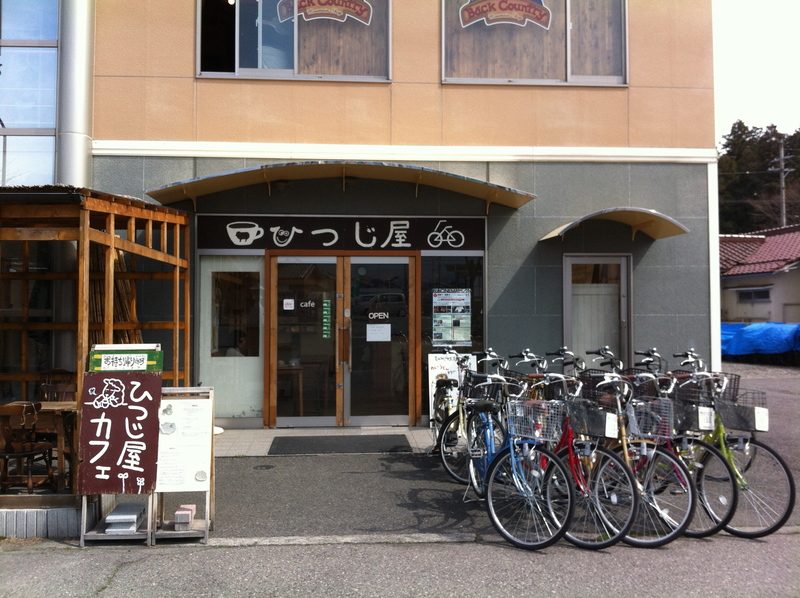 I then worked at Hitsujiya cafe in Azumino for 2.5 weeks and fixed bicycles. 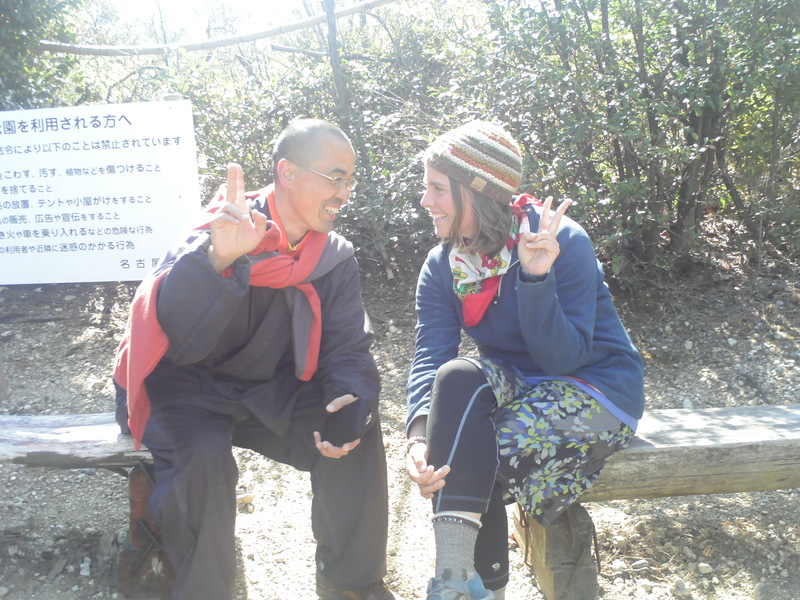 Then, I made friends with a monk named Tamiko-San (and her husband Charlie-San) and was whisked away to Nagoya, to be assistant cook for the Sakura Festival at Tokurinji temple. I fell in love with the temple and was invited to stay longer. I stayed for 1 month as a zazen (meditation) student and as a cook. Many of my fondest memories were at that temple; one highlight was teaching the Nepalese monks how to make pizza. I will always remember the time when the 2 monks were throwing up pizza dough and laughing. Also, hiking, talking with my temple friends, and cooking Japanese food are definite highlights. My friend and sensei, Lin-San. 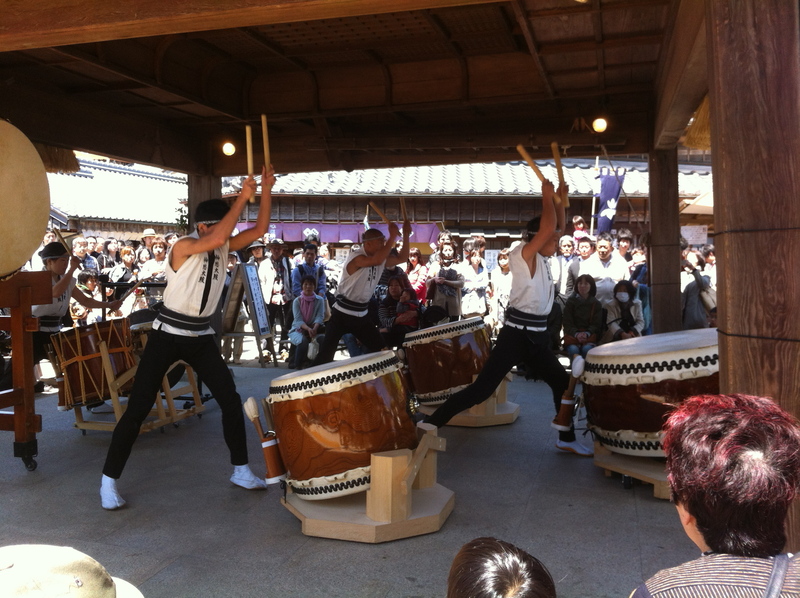 After the temple, I traveled to Kyoto and then to Osaka to visit my friend, Ruriko-San. I also met with my good friend Sam and traveled the Kansai area. 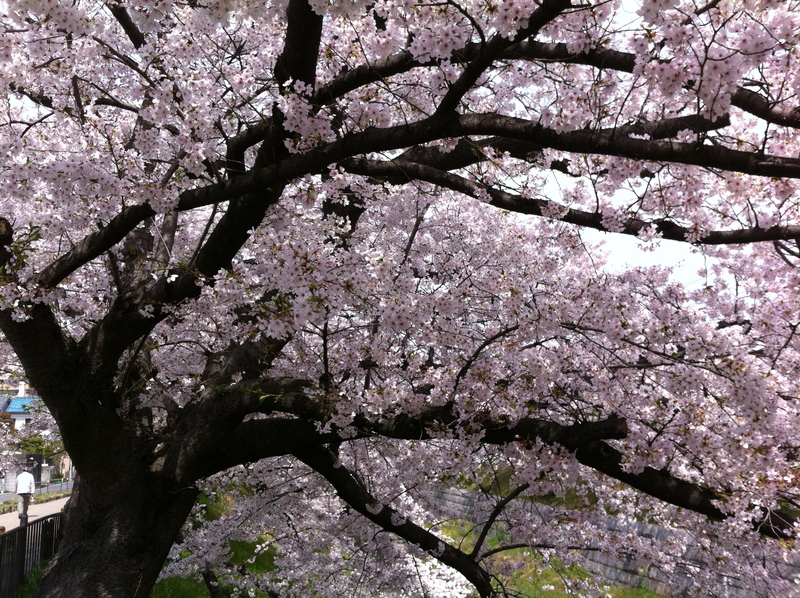 We went to Osaka, Nara, and Ise. 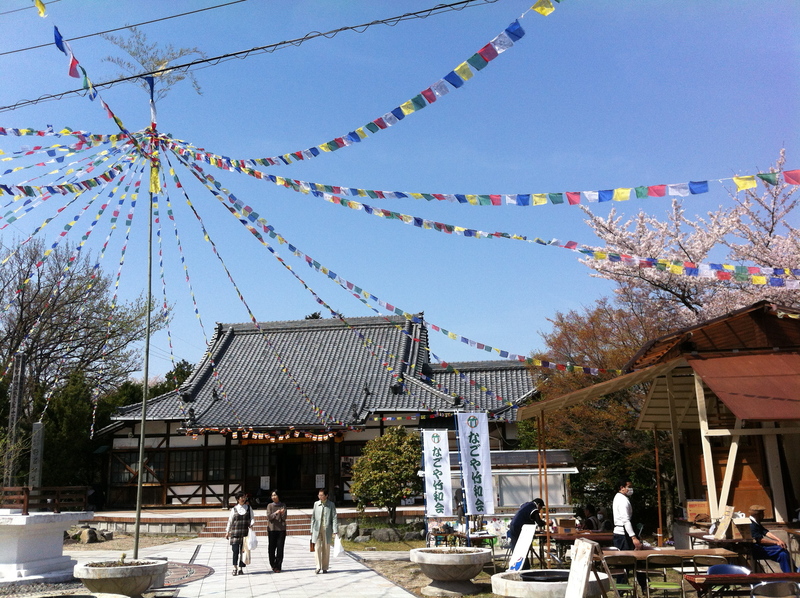 We visited lots of shinto shrines and even saw the world’s largest bronze Buddha! Sam was a great tour guide and good company (Thanks Sam! ). After Kansai, I took the bullet train to Tokyo and caught a morning flight to Ulaanbaatar, Mongolia. Overall, I spent over 2 months in Japan. 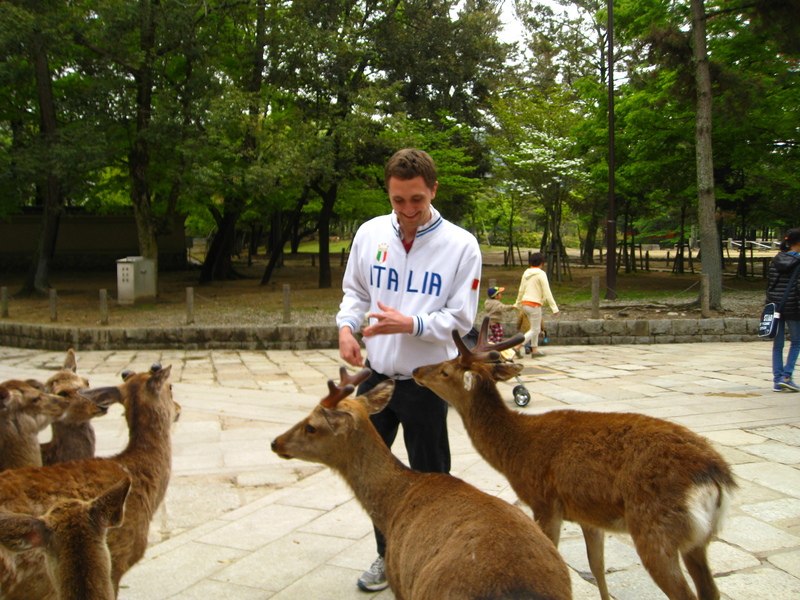 My friend Sam feeding deer in Nara. I arrived in the evening and stayed in UB Guest House. I met a group of Sweds and a Canadian going to the Gobi Desert and decided to join them. I spent 2 weeks on the road with them in a ‘cozy’ soviet van (meaker). We traveled all throughout the Southern region and I got to see some amazing places, one being the world famous Gobi Desert. It really is an empty, flat place, with the occasional sand dune. 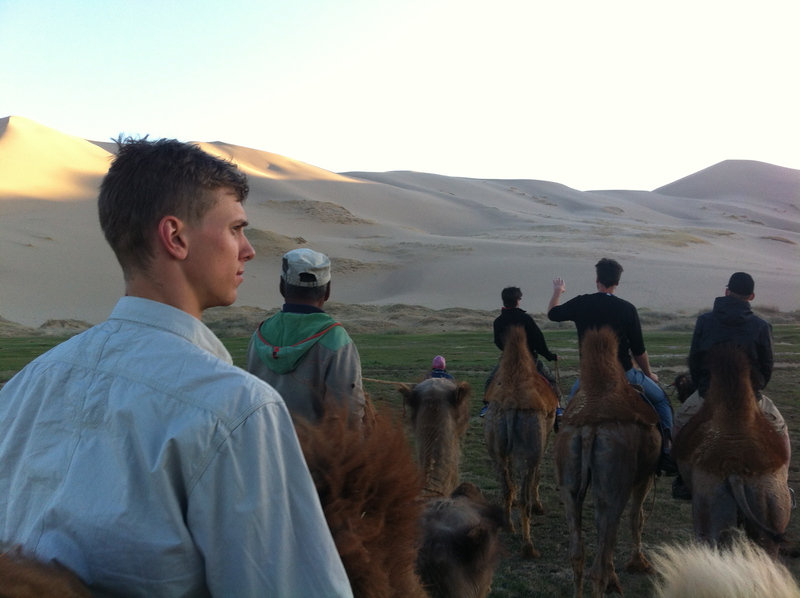 Oh, and I can’t forget the camels; there were lots of camels. I also got to see Ice Valley and Mongolia’s tallest waterfall (what a great trip, thanks for the fun time guys!). 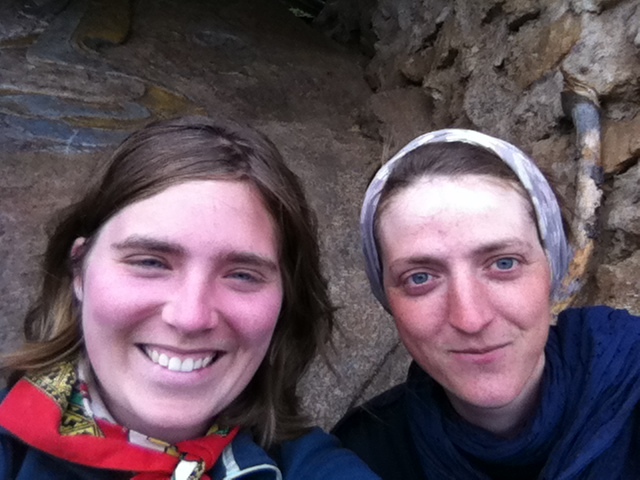 After the Gobi, I met a German biologist named Irina and decided to travel with her for 4 days into the Mongolian wilderness (Bogh Khaan Ul Strictly Protected Area, just south of UB). 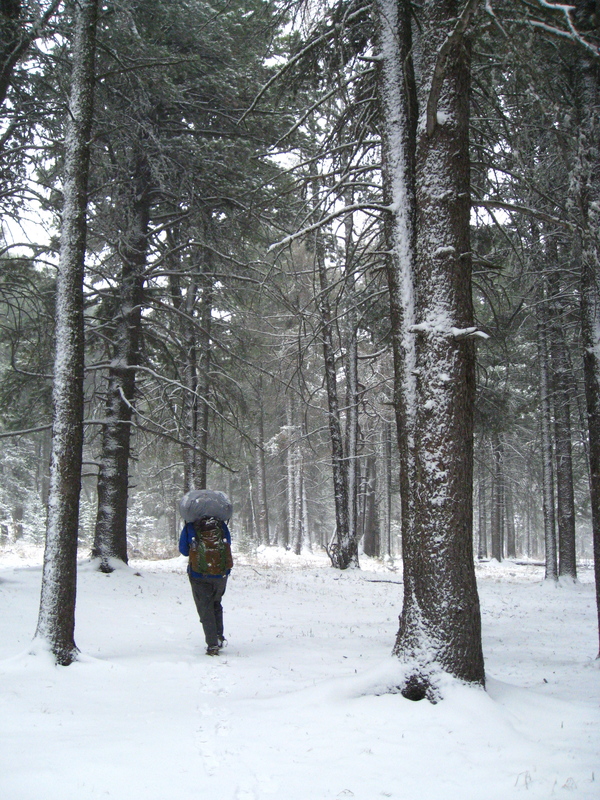 We backpacked into a snow storm (not our smartest moment) and then had 3 beautiful days camping in a forest, beside a frozen stream, and then inside the ruins of an old monastery. Irina was a great camping buddy and we became fast friends (I miss you, my German friend!). I said goodbye to Irina and rested in UB for 1.5 weeks to apply for my Russian Visa. During this time, I got to know the city pretty well. 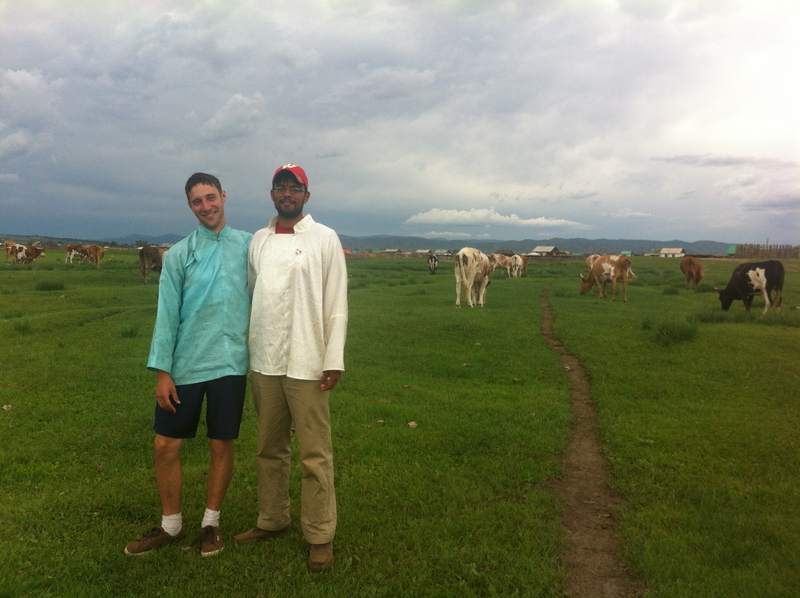 I also made friends with my first Peace Corps Volunteers (PCVs). After the 1.5 weeks, my PCV friend, Heath (from college), arrived in UB and then we became travel companions for the rest of my Mongolian trip! 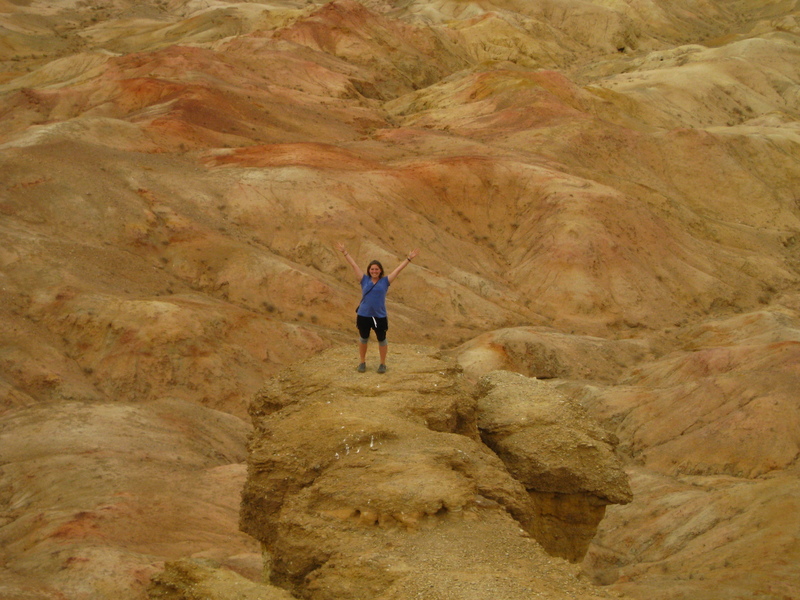 Me, posing on Mongolia’s White Mountain not too far from the Gobi Desert. But we made it! Here is my good friend Irina, with old monk engravings just behind us. 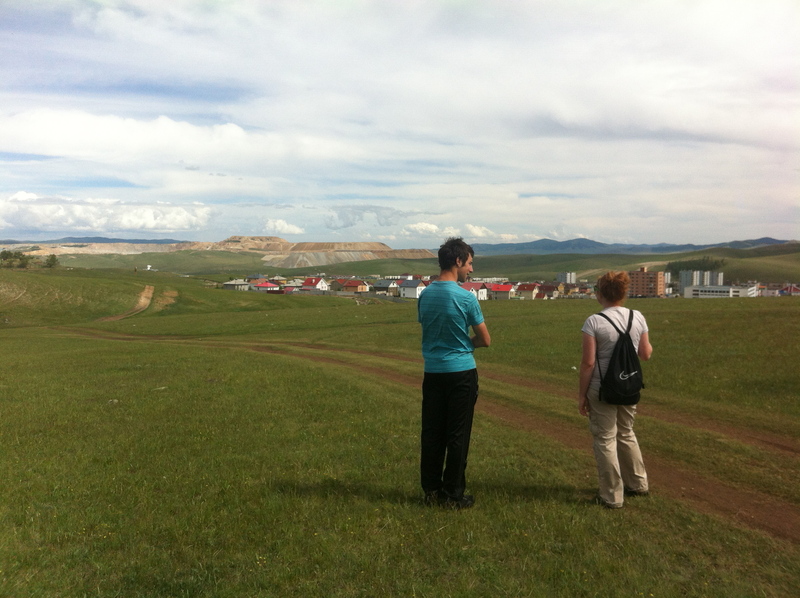 We went to Erdenet and were hosted by very nice PCVs (Kevin and Sarah). Erdenet is definitely the cleaner and more livable UB, I really enjoyed my time there (Thanks for the good company and place to stay!). We then travelled SE, almost to the Chinese border, to Heath’s small town (soum) called Dariganga. I helped at an English camp for 2 weeks, teaching kids vocabulary, singing songs, and playing frisbee. 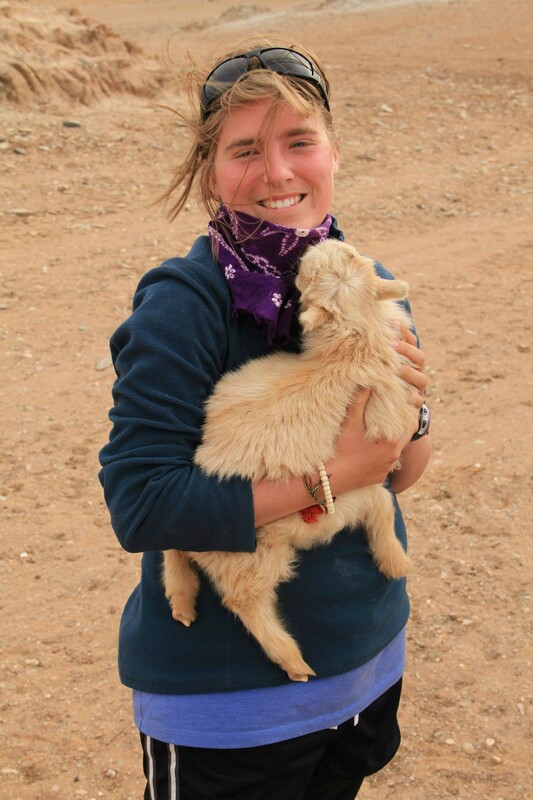 After the camp, I lived the soum life; I lived in a yurt (ger), I helped with the cattle, and spent a lot of time walking. I enjoyed walking into the countryside, especially in the evening. Dariganga is probably the prettiest place I visited throughout my whole trip. Another PCV, named Jeremy, stayed with Heath and I, and we had a great time. We celebrated Naadam; we watched wrestling and horse racing. We also spent most of our nights reading or telling stories (especially when the electricity went out, which was very often.). My favorite memory? Well, must of been the night Heath and I taught Jeremy how to swing dance. Just imagine, 3 Americans, in a Mongolian ger, in the middle of no where, dancing to 1920’s jazz. It was very out of the ordinary, but a wonderful time. Dariganga. These are children practicing for Naadam. 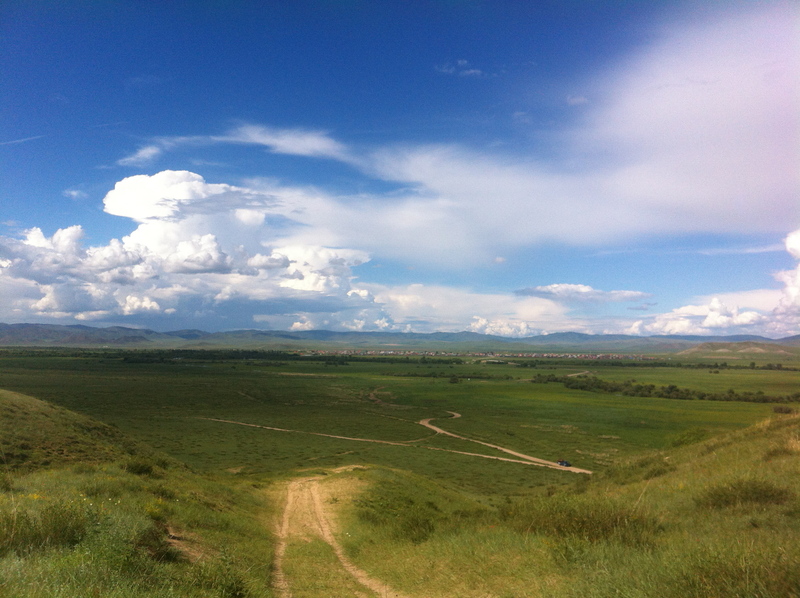 Isn’t the Mongolian Steppe so beautiful? Heath, Jeremy, and I caught a postal bus out of Dariganga and traveled North (close to the Russian border) to a soum called Yeroo. Heath and Jeremy trained there for 3 months as Peace Corps Trainees (PCT). While there, I lived in a log cabin with Heath and got to know Heath’s host family. I also got to celebrate Naadam again, lucky me! We watched wrestling, horse racing, and archery. Heath’s family cooked a whole sheep for us, which is a very respectful thing to do. I went on walks a lot and even hiked the nearby hill to get a good view of Yeroo. In the end, I said goodbye to Yeroo and then Jeremy, Heath, and I traveled to Darkhaan. Jeremy had to stay, so we said our goodbyes and went to UB and stayed with a very nice PCV named Robert. The next day, I said goodbye to Heath and then my friend Davaakhuu brought me to the train station to catch the Trans-Mongolian train to Russia. I am so lucky to have had Heath to travel with in Mongolia. He made a great travel companion and I got to see so much. I was also lucky to have Jeremy as a travel buddy and as a comedy relief; Heath and Jeremy combined were a hoot-and-a-half. Thank you guys for everything; you made my Mongolian experience unforgettable. 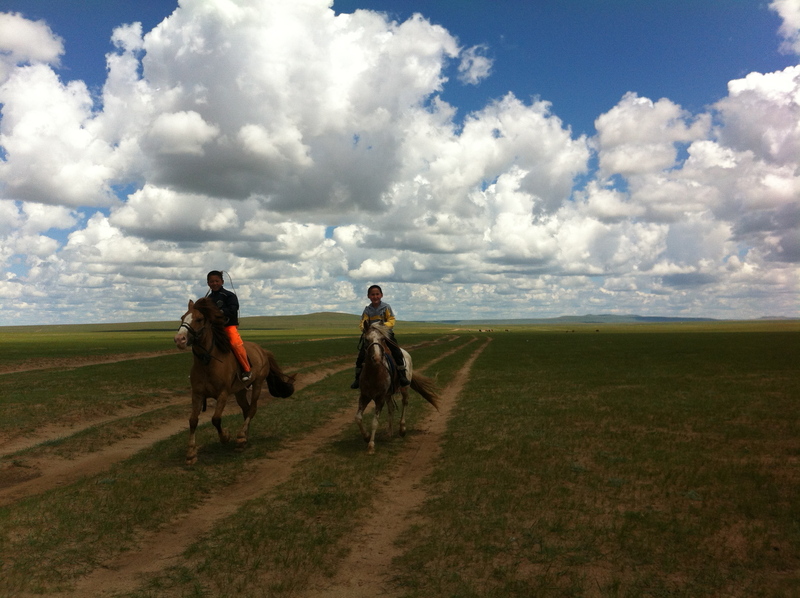 In total, I was in Mongolia for 2.5 months. Heath and Jeremy in their Mongol dells. You guys are the best. It took 2 days on the train to get to Irkutsk, Russia. I spent a majority of it looking out the window, reading my book, and talking to fellow travelers. I arrived in Irkutsk and stayed in a hostel. 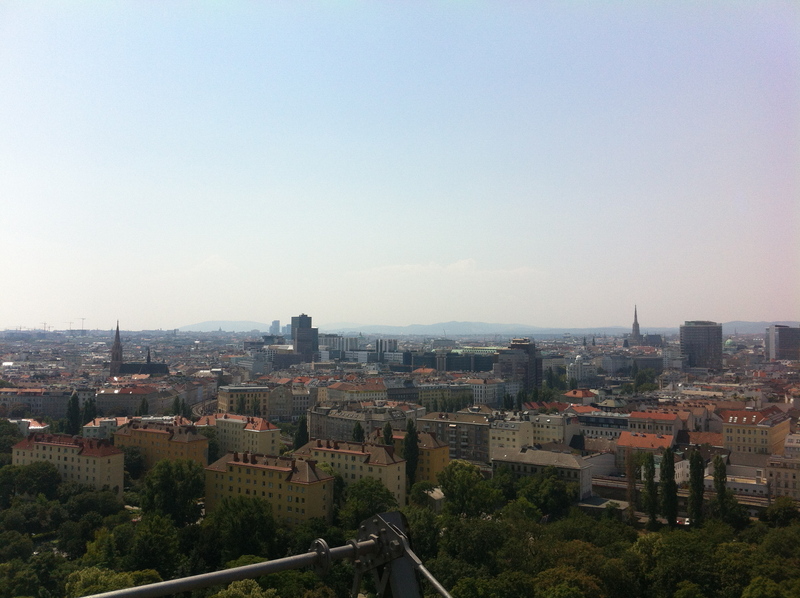 That day, I made friends with a German, named Korbi, and explored the city. I thought the city was very quaint and it had a lot of beautiful churches. 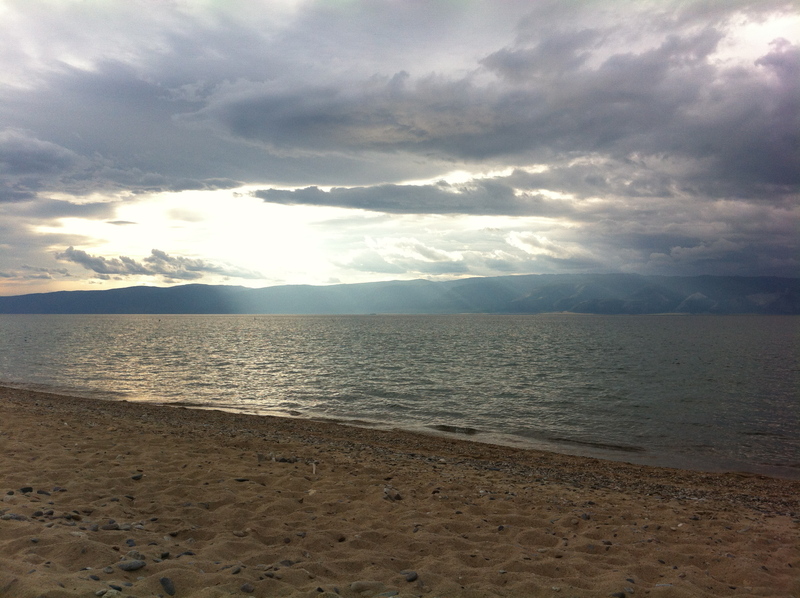 The next morning, I caught a bus to Lake Baikal, the world largest fresh water lake. It is a beautiful place. I hiked a few trails, but mostly walked along the lakeside. I spent 4 days there and enjoyed every minute of it. 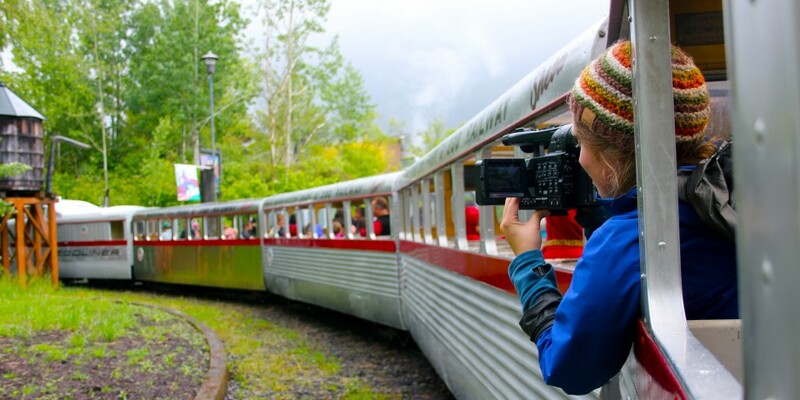 I took a bus back and caught the Trans-Siberian train. I made a Russian friend named Kostia (Konstantine) and spent my 4 days learning Russian from him, reading my book, and looking out the window. I was also fortunate enough to have nice train mates, who fed me and gave me kisses (okay, maybe only my surrogate Russian Mom did that.) Those 4 days on the train were a bit smelly and I felt pretty gross by the end, but I am very happy I took 3rd class. I made some great friends and even learned a bit of Russian! I arrived in Moscow and spent 1 day with Kostia, exploring the city. The next day I went to the Kremlin Armory and walked around, I even met up with Korbi again. Moscow was a fun town and I look forward to visiting Russia again. Overall, I was in Russia for 2.5 weeks. 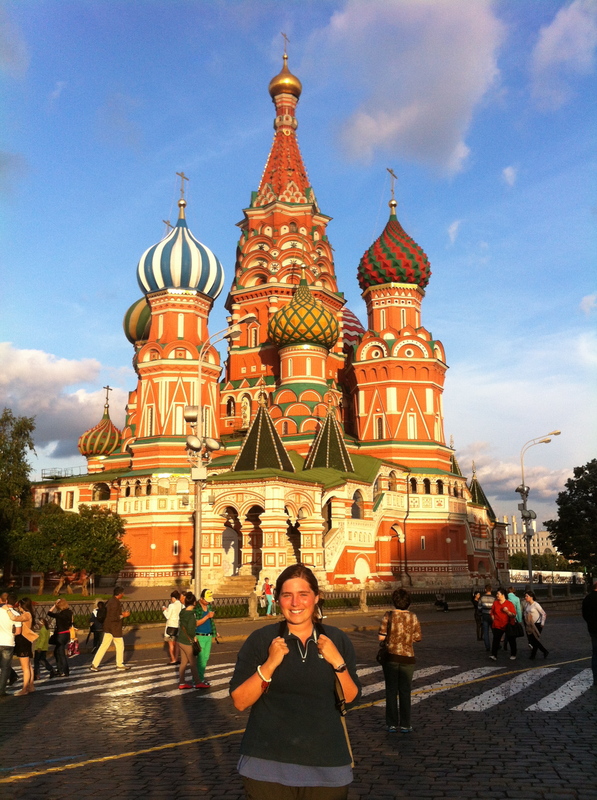 At the Red Square, posing in front of St. Basil’s Cathedral. After Russia, my solo traveling was complete. 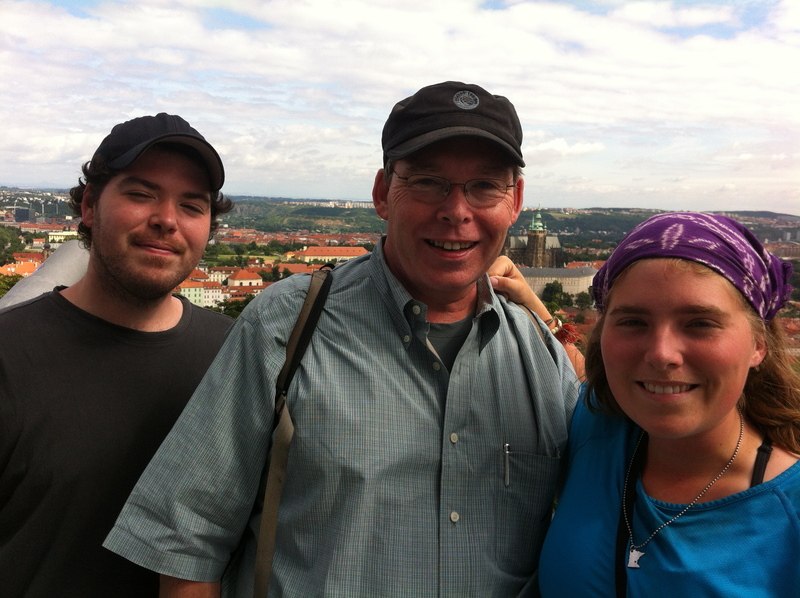 I then flew to Prague, Czech Republic to meet my father and brother, Jamie. I was very happy to see them again and to have company till the end of my trip. I loved Prague. It was full of history and the city was beautiful. I went on long walks, exploring the alleyways and riverbanks. My favorite part was going to Kutna Hora to see an Ossuary, a church decorated in bones, with my brother Jamie. After Prague, we took a train to Vienna, Austria. This town is very hip; it reminded me of an older Portland, Oregon. There were movie in the parks and I enjoyed the food (I sure miss the wienerschnitzel). My favorite memory is going to the army museum; I learned a lot about Europe’s war history. After Vienna, we flew to Paris, France. 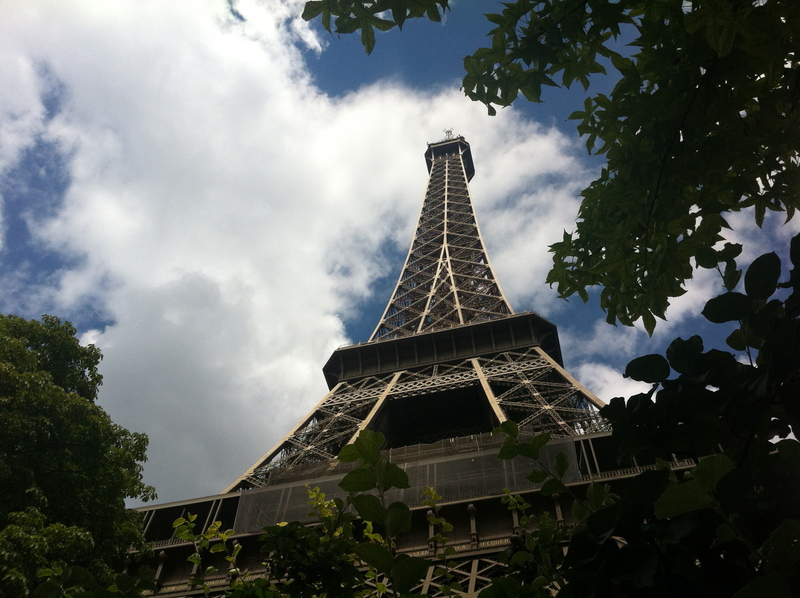 The very first day, Jamie and I walked along the Seine River and visited the Eiffel Tower. I even went to the top the next day. During my stay, I walked all around Paris and I got to see the Mona Lisa in the Louvre. The best part was visiting my French friend, Pauline. She brought me to her home and she made me crêpes. She also showed me her village (Thank you Pauline!). After Paris, we took the Chunnel to London, UK. 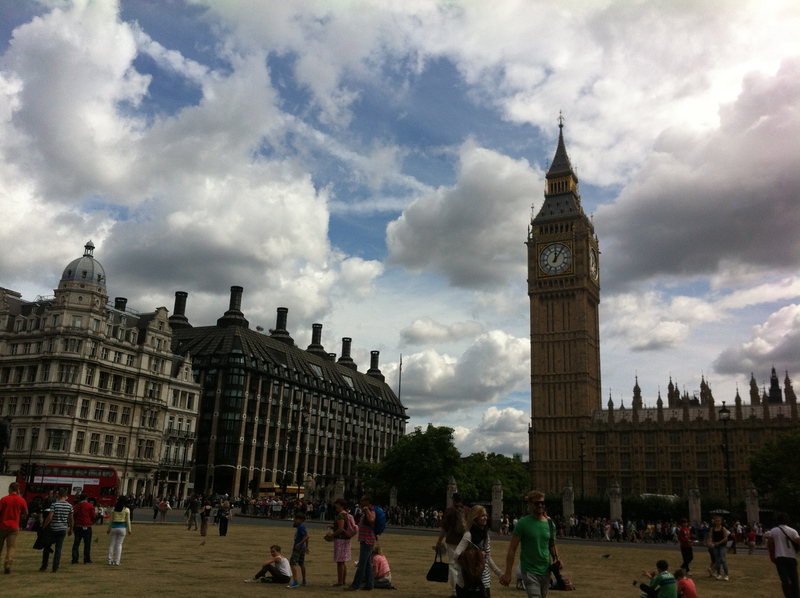 In London, we did all the touristy stuff: Big Ben, Tower of London, and Buckingham Palace. I also walked the Queen’s Walk with my brother. My highlight was visiting my friend Lindsay at Oxford. She showed me around the ancient college town and I got to see some very cool places (Thank you Lindsay!). I liked London a lot, I could see myself living there if I ever get a job there. After London, we took the train to Holyhead port and then took a ferry to Dublin. We stayed in a house on the Irish Sea just outside of Dublin. In the city, I got to see The Book of Kells and Kilmainham Gaol. I also visited a fishing town called Howth and got to hike along the Irish Sea. 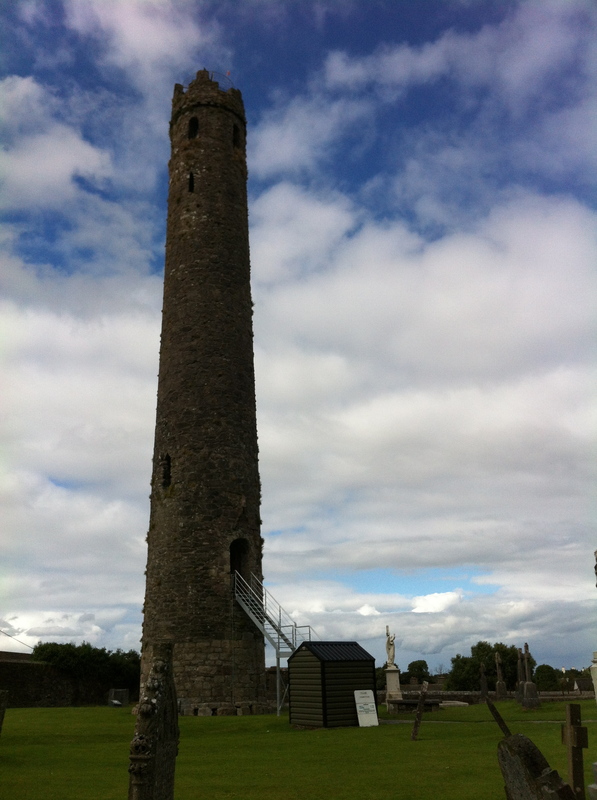 My last day in Ireland, I went to Kildare and climbed an ancient tower that once fended off Vikings. I am happy to have had my father and brother to travel with. I saw a lot, learned a bunch, and I ate so much delicious food! Overall, I traveled in Europe for 3 weeks. Vienna. We were on a ferris wheel in the Prater. Well, there it is. My whole trip in a long-winded nutshell. It amazes me that I travelled around the world. 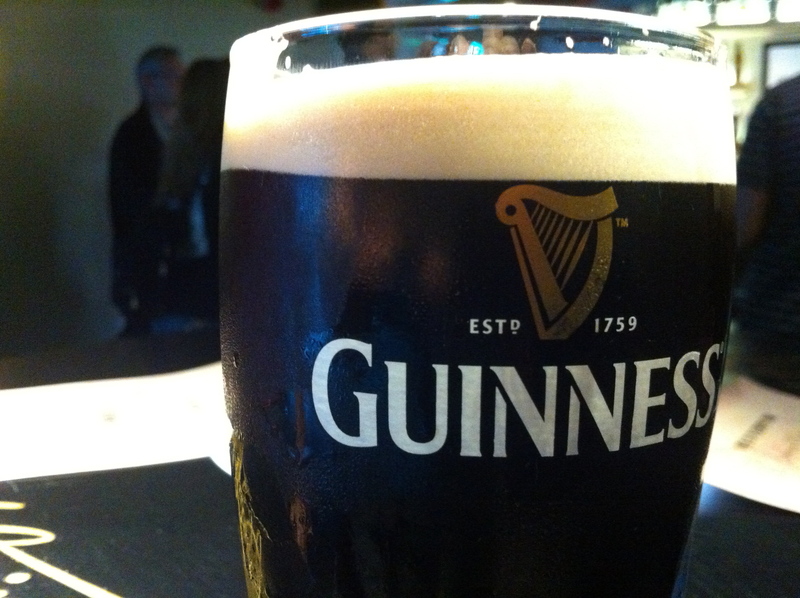 I started in China and in 7 months ended in Ireland. Wow. I remember when I first went to China 4 years ago, Colleen and I met some solo backpackers. I remember thinking, “I could NEVER do that. I would be so scared… blah blah.” Well, now I have done it and I learned just how easy it is to make friends while traveling, and, more importantly, I genuinely enjoy being alone. It is a special time for me to think, to read, to draw, to listen, or to just sit and meditate. I also learned that there are still good people in this world, who want to help you. There were weeks when I did not use money at all because I was invited to stay at someones house and then they cooked for me and treated me as an honored guest. For that I am grateful. I can’t wait to have my own place and then I can return the favor. To pay it forward. I will say one more time, thank you EVERYONE who helped me during my trip. I appreciate everything you did for me and I look forward to seeing you again and buying you lunch or giving you a place to stay! Well, friends, thanks for reading my blog. I had a lot of fun writing it, I hope you guys had even more fun reading it. I won’t be abroad for awhile, but if I do something fun or adventurous in Minnesota, I’ll make sure to write it here. Maybe you’ll enjoy my USA adventures as much as my world adventures? Only one way to find out. P.S. If anyone has questions about my trip or wants advice about backpacking, please send me a message or you can email me at mollysjourneytothewest@gmail.com. What an exciting journey! Thanks for sharing it with us! I’m glad you enjoyed it! I remember you following my blog from the beginning. Thanks for that. You are so welcome, I enjoyed it a lot!